Koleys Gold plated Reliquary with 8 settings. 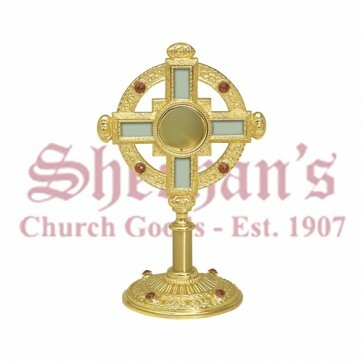 Richly decorated with stones, Gold Plated Celtic Cross Reliquary. This magnificent reliquary measures 13" in height, and a circular base 6" in diameter, the opening has a diameter 2 ¼" and is 7/8" deep. Reliquary or holy relics shrine is a receptacle containing the physical remains of saints, such as bones or shreds of clothing or some object associated with the saints or other holy figures. 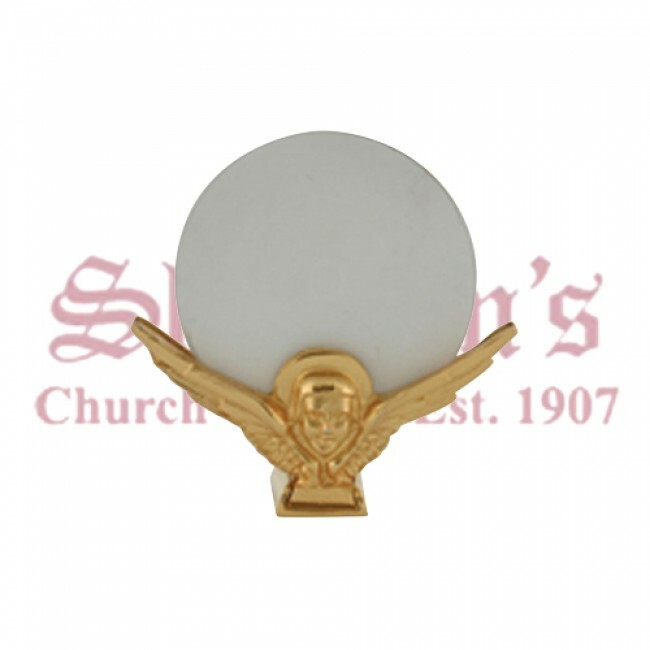 This stunning reliquary is available with gold plated Clip Style Luna that holds 1 ½' host enabling to convert reliquary into a monstrance.